For more than 60 years, CS&L has been committed to positively impacting our surrounding communities and providing assistance to local organizations. Our ongoing philanthropic program, CS&L Cares, provides a platform for our employees to become involved and invested in the community. We encourage our team to provide volunteer hours, in-kind donations, host fundraisers, attend charity events, and more, as a reminder of our responsibility to give back to the community. This initiative was launched in 2014 as part of our 60th anniversary celebration and has become a cornerstone of our firm’s culture. Coordinated by our Team Building Committee and CS&L Cares, the firm wanted to show our support on Manatee Appreciation Day. CS&L joined the cause by adopting our very own manatee this year! Thank you Save the Manatee Club for letting us be part of such a great cause. Organized by our Team Building Committee and the CS&L Cares initiative, the Firm recently hosted a Cutest Pet Contest for all employees. Our Firm made a donation to Bishop Animal Shelter, SPCA of Manatee County for every photo entry. The contest was conducted through a poll and the top three winners were chosen. Congratulations to these adorable companions! CS&L CPAs, a certified public accounting firm located in Bradenton, Sarasota and Tampa, is pleased to announce that the firm’s corporate philanthropy initiative, CS&L Cares, hosted a disposable diaper and baby wipe collection drive. CS&L Cares is a platform for employee involvement in the community through volunteer hours, in-kind donations, fundraisers and more. This initiative was launched as part of the firm’s 60th anniversary celebration in 2014 and has become a cornerstone of the firm’s culture. 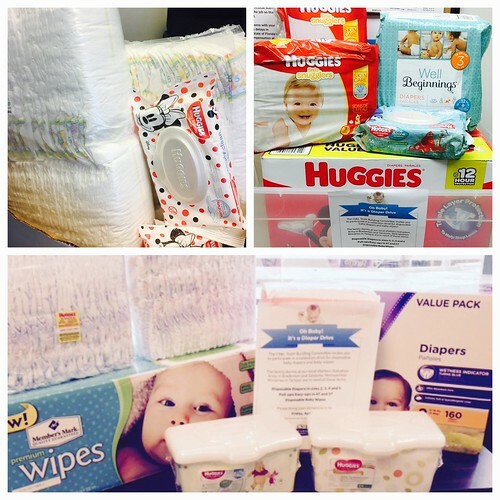 The 2017 Diaper Drive was developed by a group of employees charged with leading the firm’s philanthropic activities and endorsed by the leadership team. The Diaper Drive resulted in 564 disposable diapers, 1,248 baby wipes as well as $135 in cash donations. These collections were donated to family shelters including the Salvation Army of Manatee, the Salvation Army of Sarasota and Metropolitan Ministries of Tampa. CS&L Cares is a year-round philanthropy initiative. Organizations seeking volunteers, board leadership and other support may contact Lesley Hatfield, Marketing Director, for more information. CS&L’s Halloween Costume Contest only had one rule – at least one piece of an employee’s costume must be purchased from a Goodwill Store. We had a great turnout and some creative costumes! We’re proud to support such a valuable organization in our community while hosting a fun day for our team. Every year, CS&L employees rally together to fundraise and participate in the Manatee Glens Walk for Life. This 5k walk (or run) is in support of suicide prevention and depression awareness. CS&L always comes out as a Top 5 Fundraising Team and it’s one of the staff’s favorite events. We took some fun promotional photos for Manatee Glens this year and had a blast!